I've posted this recipe before but not in quite a while. 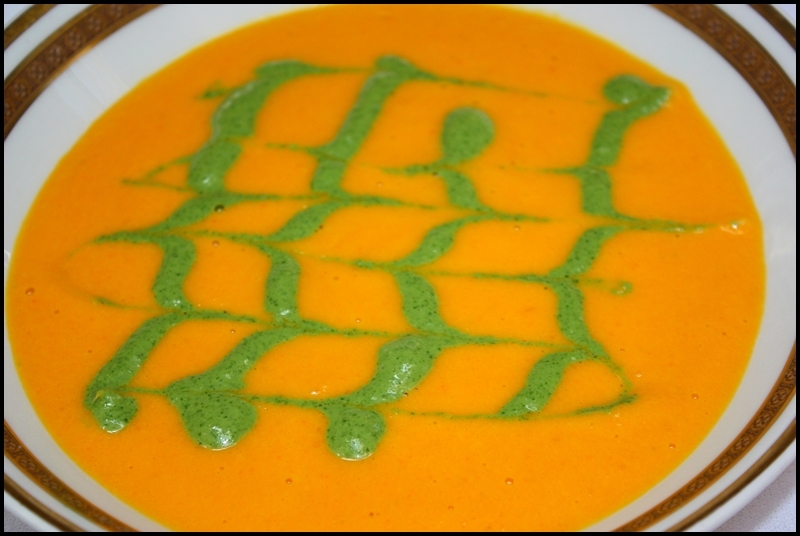 It is an excellent spring soup and can be served hot or chilled. 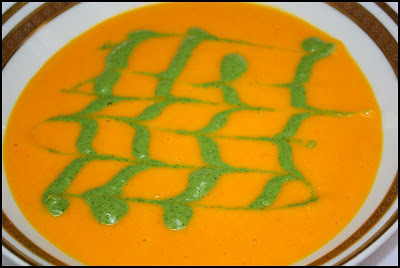 The only variation in the recipe (there always has to be one) is that I did not include a recipe for the parsley puree. 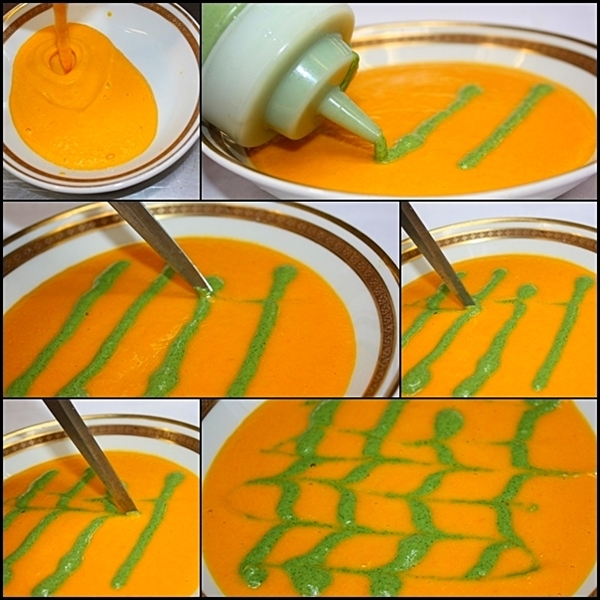 This is done easily by combining washed parsley and plain yogurt in a blender and pureeing until very smooth. And the images below illustrate how to garnish it as if it were served in a restaurant. The only tools you need are an ordinary squirt bottle and a knife. There are plenty of designs and this is a simple one. Draw lines in the soup and gently draw the tip of a pointy knife back and forth through the puree.